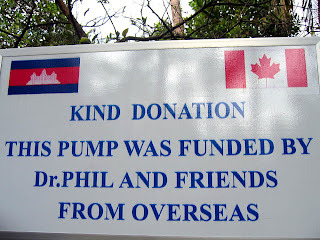 As some of you may know, I spent a couple of weeks in Northern Cambodia in the fall of 2008. During this time, I met Svay Savong who is the founder and director of a school which provides free English instruction to children. You can check out his website at http://www.savong.com. One afternoon, I travelled with Savong to a remote village. Everyone came out to see me and greeted my arrival with enthusiastic smiles. Apparently, I was the first foreigner to visit them and they all made me feel incredibly welcome. 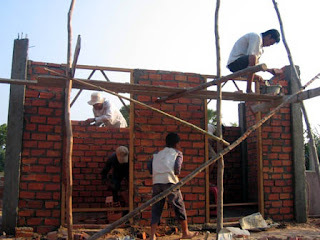 Cambodia is very poor and terribly corrupt. There wasn't much to this village except for a few palm leaf shacks and some clotheslines. 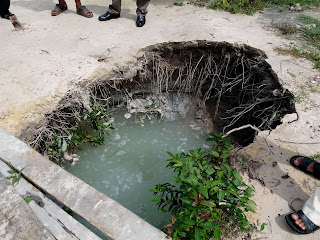 There was no running water, no toilets and the drinking water came from this hole in the ground. Amazing isn't it? Next time you turn on that faucet, you should feel very grateful! 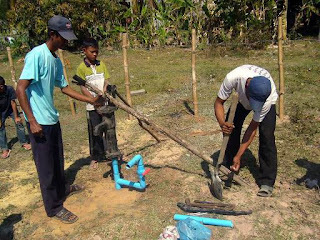 With Savong translating, I told the villagers that I would help them build some pumps so that they could have a fresh supply of drinking water. After being off work for several months, I didn't know how I was going to get the money but after I gave them my word, I knew I couldn't let them down. 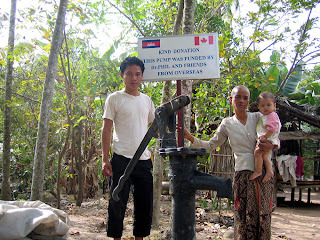 After I returned to the United States, I posted my pictures on my blog and asked friends and family to help donate to my Cambodian Good Water fund. It didn't take long to raise sufficient money for three pumps, with each one costing about $200. I was very happy to tell Savong the good news. Unfortunately, he didn't have good news for me. The village was now gone. A wealthy man had hired some people to clear the land. The villagers were dispersed and nobody knew where they were now living. Although it made me very sad, it wasn't much of a surprise. 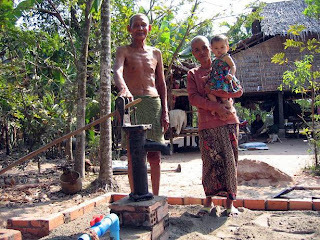 In Cambodia, people with money can do what they want even if it means clearing a village and letting entire families fend for their survival. I can only hope that they are all doing well. 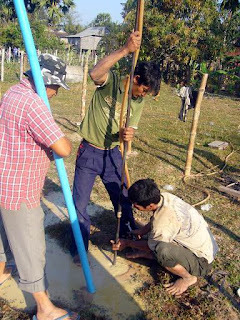 As I had already marked the money to make pumps, I asked Savong if he could find other families that needed fresh water. 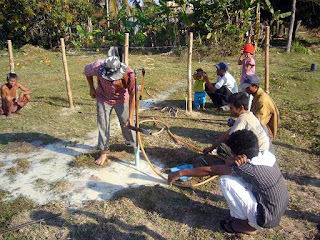 It didn't take long to find them in a country where it is estimated that two thirds of the people have no access to clean drinking water. 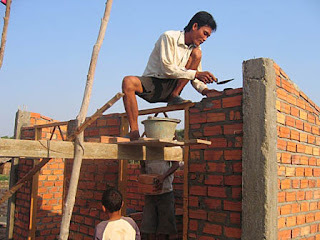 I sent him my digital camera so he could document the construction. He also told me that he would get some signs made to thank me and my co-donors for the generous gifts. Here is one of the signs. Although I wanted him to put an American flag on it since some of my supporters were American, he wasn't able to get that done. I hope they don't mistake me for the Dr. Phil on tv! With his money, he could probably buy the entire country of Cambodia. 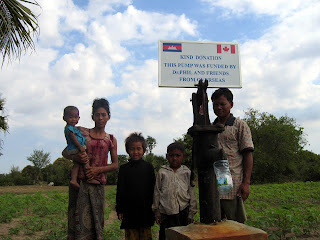 If you ever go to Cambodia, you can see these pumps all over the countryside. Next to each one is a sign indicating who put up the money for their construction. I am very proud to have made a contribution to this beautiful country with such great people! 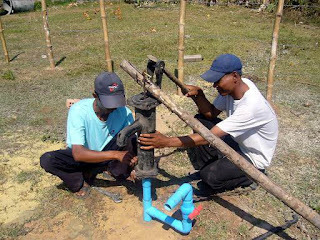 It didn't take long to build the pumps. And here are the lucky families who can now get clean fresh water. I'm sure these pumps will make an enormous difference in their lives. Savong also runs a small orphanage. 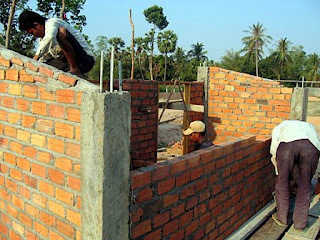 Since he spends a lot of money just trying to feed the kids, I offered to help build a bathroom and toilets which were badly needed. This week they started construction and hopefully by next week, they will be done. I want to thank everyone who helped make these projects a reality. I realize that our economy isn't very good and Cambodia seems like a world away, but I can assure you that even the smallest contribution has made a big difference in these people's lives. More updates later. Stay tuned!